RUSH: I just got this, so we’re gonna listen to this together. Sound bite 23 just came in. It’s James Clapper this afternoon on Bloomberg TV. The cohost is David Westin. Does anybody recognize that name? The former head of ABC News is now a reporter or moderator at Bloomberg TV, the show Bloomberg Markets: Balance of Power. David Westin interviewing the former Director National Intelligence, James Clapper, about spies in the Trump campaign. And David Westin says, “The president says that you, James Clapper, admitted there were spies, that you were in charge of spies for the U.S. government. To the best of your knowledge, were there any spies for the U.S. government in the campaign? CLAPPER: First about the use of the term “spy,” air quotes, which I have never liked in any event, and it certainly doesn’t apply in this case. And I think the president is referring to remarks I made on, uh, The View, a week or so ago, in which I said actually just the opposite, that this wasn’t spying, certainly not on the campaign. What happened was a far cry from what is normally associated — again air quotes — with the term “spy,” in that this was not a trained case officer. He did not employ clandestine tradecraft. There was no recruiting. There was no attempt to hide his identity. This is the most benign form of information gathering that, uhhh, you can come up with. So no, as I would think of the term “spying” as it’s normally applied, no. And that’s what I, uh, said. RUSH: Folks, they are running for cover like rats now, because he’s now contradicting himself. He has said, “Spying — although I don’t like to use the word ‘spying. '” But he said, “It was okay, we were trying to protect the president. We were not spying on the campaign; we were looking for Russians.” To which the obvious retort is: Well, if the Russians where everywhere, why didn’t you have a spy or a lookout in the Hillary campaign? And if you thought that there was collusion, why didn’t you warn Trump? Why didn’t you warn Trump when he hired Manafort, if you had news that Manafort was a bad guy? Why didn’t you warn Trump? These guys are trying to bring Trump down. Folks, do not forget what this is. All of this is just strategy, technique, philosophy, whatever. The thing driving this is a refusal to accept the outcome of the election, a refusal to accept election results. These people all thought Hillary was gonna win in a landslide; they’ve built this mantra that the Russians stole the election, colluded with Trump, maybe. Trump is now obstructing justice to keep everybody from finding this. There’s no evidence of any of this, and now Clapper’s out there contradicting himself. One week after saying one thing, he’s now saying another. Now there wasn’t a spy. Now the name wasn’t hidden and the spy didn’t recruit. The spy most certainly did recruit! This investigation supposedly had two beginnings. The first begin they told us was the Steele dossier. The Steele dossier, when they… At the point in time where everybody thought it was legitimate intel, before we knew that it was nothing more than Hillary Clinton campaign oppo research, then they presented it to Trump. And remember how that happened. This is January 2017, before Trump’s inaugurated. There was a meeting in the Oval Office: Comey, Clapper, Brennan. It is decided in that meeting that Trump is going to be told about the golden showers story but nothing else. He’s not gonna be told where the story comes from, he’s not gonna be told who paid for it, he’s not gonna be told that it’s Clinton opposition research. So Comey is dispatched to Trump Tower where he tells Trump of the golden showers story. In Comey’s words, “mission accomplished.” He tells Clapper it’s all done. Clapper then calls CNN and says, “Okay. You can run with the dossier story because the president has been informed of the golden showers aspect of it.” Four days later, January 10th, CNN runs the story as though they ferreted it out with good, old-fashioned shoe leather journalism. When in fact they were complicit in this and had been fed the story by James Clapper and the Obama administration. And then about a year later, CNN gets a massive, massive journalism award at the White House Correspondents’ Association dinner for this story. All of it made up. All of it complicit. Then we all learned the dossier was illegitimate. We learned the dossier was manufactured by Christopher Steele, having been paid by the Clinton campaign, and we knew that none of it was verified. So they dropped that. And then they said no — and this is all New York Times anonymous sources. Then the second version was, “Uh, uh, no. The dossier is not what got us going on this. No. “What got us going was this kid Papadopoulos, this guy in the Trump campaign who was running around saying that the Russians had some very damaging dirt on Hillary.” Well, I’ve told you 15 different times in 15 different ways how that happened, how that news was implanted with Papadopoulos starting first by Joseph Mifsud, the mysterious Maltese academic. And the original story had Maltese professor Mifsud telling Papadopoulos that the Russians had Hillary emails. Then Stefan Halper hires Papadopoulos, brings him to London to do a speech, pays him three grand, says, “Hey, George, remember the Russians have all that stuff on Hillary?” After that, Papadopoulos has a meeting at a bar in London with the Australian ambassador and gets drunk, at which time he tells the Australian ambassador that the Trump campaign knows that the Russians have a bunch damaging stuff on Hillary. There’s a bunch of emails. And the New York Times ran with that as the beginning of the investigation, July 31st, 2016. Well, that has now totally fallen apart. On Friday, we learned that Papadopoulos never used the word “emails” talking to anybody. He never said that the Russians had Hillary emails. They could be two versions. They could Hillary’s emails from her server or from the DNC server that was hacked. It was never specified but moot because Papadopoulos never said that the Russians had emails, just dirt, some damaging dirt on Hillary. 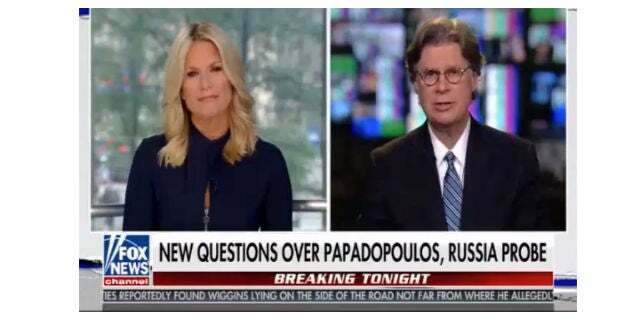 Later on Friday we learn from Byron York that Australian ambassador says, “Papadopoulos didn’t get drunk. Neither did I. We both had one drink, and the word ’emails’ never happened.” So the original reporting in the New York Times on both of these beginnings — the Steele dossier and the Papadopoulos — all of it is bohunk, folks. All of it has now blown up in their faces! Now today, Clapper says, “We weren’t even spying. This is the least of the least of anything. There was no. clandestine tradecraft. There was no recruiting, no attempt to hide his identity. This is the most benign form of information gathering that you can come up with.” He’s still admitting, FBI and intelligence agencies were information gathering on the Trump campaign. It is all falling apart. The principals are running for cover. The New York Times and Washington Post have run stories on the spy! Is Clapper gonna tell us now that the New York Times and Washington Post got it wrong a third consecutive time? Because they laid out the details of the spy. They did everything but identify the guy. They described what the spy was doing. So Clapper’s now saying the New York Times is wrong, the Washington Post, he’s not using those words, but his meaning clearly is that everything we’ve seen in the New York Times and the Washington Post about the origins of this and the details are now no longer operative. Why is this happening? Well, I don’t know. I can only guess. But it’s because it’s falling apart. Not one single story has maintained its integrity. Every story involving unnamed former and current government employees, anonymous sources, all of it, has fallen apart. If he’s really concerned about the integrity of this election, then why not tell Trump when he hires Manafort, when he hires Carter Page? If these two guys, red flags in the FBI, CIA system, why not tell Trump? Why let him hire them? And why spy on these people? Because, my friends, they were playing both ends against the middle. While they thought Hillary was gonna win, they at the same time were doing their best to destroy Trump’s campaign. And then after he shocked everybody and won, it became let’s destroy Trump’s presidency by essentially running a silent coup, and the silent coup is convincing everybody the election was illegitimate. And that’s what this is all rooted in, based on. RUSH: We have Richard here, St. Louis. Richard, thank you for calling. Great to have you with us, sir. CALLER: Thank you very much for taking my call. And it’s been a pleasure listening to you for the last 30 years or so on the radio, expressing my views and opinions for me and hopefully millions and millions of others. RUSH: Happy to do it, sir. Thank you very much. Yes. CALLER: Hope it’s not a coincidence, you know, we’re both southeast Missouri conservatives and actually distant cousins, but that there are many millions that don’t listen to you that have the same opinion. Because this whole thing, you know, you’re absolutely on point that this whole thing about Trump collusion is to get rid of the Trump president. Not only the leftists or the Democrats, it’s the entire political establishment. Ex-general Michael Hayden, whose an acolyte of presidents Bush, Clinton, and Bush, was on the radio in St. Louis this morning hawking his new book about the assault on the intelligence community and other institutions. And it’s actually an anti-Trump book. And Hayden is not a leftist or Democrat, according to his history. But the point is that the host on that show did not — he asked for callers, and I really tried to call in. I was gonna ask Hayden who should have voted — He couldn’t understand why the people in Pittsburgh voted for Trump. RUSH: Well, my question is, if he’s got a book on attacking the intelligence agency, who’s destroying the intelligence agency? Was he trying to lay that off on Trump? Is that what they’re trying to do because of Trump’s tweets? The intelligence community here — let’s do some recent history. Can we dare go back to the Iraq war? Do I dare venture back there? Well, let’s go back. George Bush spends a year and a half traveling this country, building up support from the American people for an invasion of Iraq on the basis that — not that they had anything to do with 911, although they did peripherally, but that they were developing weapons of mass destruction. The intelligence community in the United States was joined by the intelligence community of the U.K. and all of our west European allies. And they all unanimously confirmed that Saddam had weapons of mass destruction. And they sent the then secretary of state Colin Powell to the United Nations with spy satellite photos to show these weapons of mass destruction. We went to war on the basis of these intelligence community reports coupled with the desire of George W. Bush to do this. And we found no weapons of mass destruction. Now, there were those who said, “They were there. They’ve just been moved by truck over to Syria or they’ve been hidden.” And some tiny vestiges of some chemical weapons have been found, but nowhere near the massive stocks that we were told. And that led to the near impeachment of George W. Bush in his second term. That led to George W. Bush being hated and reviled with an approval rating barely at 30% at the midpoint of his second term where he was then being accused of torture, we had the photos from Abu Ghraib, all of this traced to the intelligence community. Well, if I didn’t know it any better, I’d say they might have had it in for George W. Bush, even though his dad used to run the intelligence community as the head of the CIA. I didn’t think any of this back then. Back then I was joining the chorus and saying, “Hey, the intelligence community, they thought they had it right,” and I was defending them by saying they all were unanimous in this. U.K., Germany, you name it, European Union, CIA, DIA, NSA. But now — okay, well, I don’t know how you view it in hindsight. But now the Russians were tampering in the 2016 election, and somehow they couldn’t stop it. We’re investigating Donald Trump and his campaign because it might have happened, they couldn’t stop it, they had spies, they had an informant, a human resource agent, as Comey says in the Trump campaign, and they’ve been on the lookout, all this Russian collusion, they ignored the Russians involving with Hillary. I guess they thought that wasn’t any big problem. They’ve been desperately looking for Russians all over the Trump campaign, and damn it, folks, they can’t find any. The Russians must have pulled this off right under the noses of our intelligence agency because they have told us that the Trump colluded, the New York Times, Washington Post, CIA, DIA, CNN, MSNBC, Los Angeles Times, USA Today, you name all these pukes, and they’ve told us and they’ve trying to make as many people as possible believe the Russians stole this election. And Trump may have been in on it. And Trump Jr. might have been in on it. And Michael Flynn might have been in on it. And Melania, we haven’t heard from her in three weeks, what was her role in it? But the bottom line is, they weren’t able to stop it. Anybody ever thought to look at it that way? I mean, they’ve been spying, they’ve been looking, they’ve been telling us for a year and a half the Russians, the Russians are coming, the Russians were there, the Russians are here. Meanwhile, there aren’t any except that fat Ambassador Kislyak was everywhere, but there aren’t any other Russians. All the Russians are over there with the Clintons and Glenn Simpson at Fusion GPS and the Perkins Coie law firm. 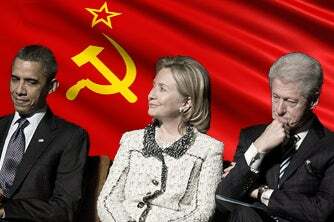 And there’s a couple of communists in the intelligence community in the U.K., and they’re with the Democrats. So I’m confused. Hayden’s written a book claiming the intelligence community’s under assault I assume by Trump. But who’s actually doing the damage? For a year and a half, the Russians might have, probably were, colluding, the Russians hacked, there’s no question. How many times have we heard from everybody, no question the Russians attempted to game this election? No proof, folks, no proof. No proof. Supposition, assumption. No proof. Everybody thinks it happened. If you want to count in the mainstream of the Washington establishment you have to agree and say, “Oh, yeah, of course the Russians tried to hack.” Well, notice there isn’t any evidence for it, and if it’s so the damned obvious, then why didn’t anybody stop it? And why isn’t anybody claiming credit for it? And the reason is, they want you to think the Russians stole the election working with Trump because they can’t stand the outcome of the election. So they’re trying to overturn it by getting rid of the guy who won. In the meantime, they’re not making themselves look good. They know the Russians are doing X, Y, and Z and at no point were they able to stop them? How does that work? 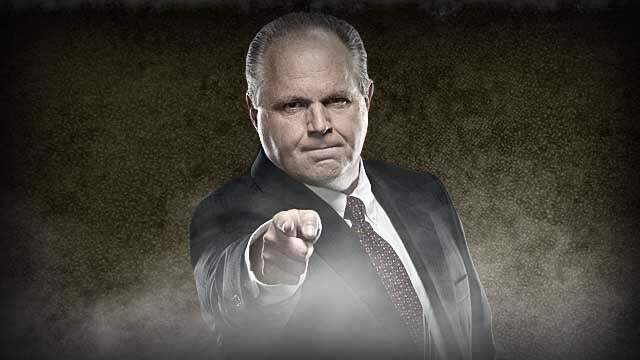 RUSH: I think it’s time we turn this around on ’em, folks. For a year and a half we’ve had to sit here and listen to a bunch of bogus allegations that Trump cheated, that Trump worked with Russians, our enemies, that Trump was traitorous. They have tried to tell us that Trump was traitorous, his family is traitorous, they were working with the Russians to steal the election from the duly intended winner, Hillary Clinton. And they’ve told us this for a year and a half, and every major news institution they’ve got. 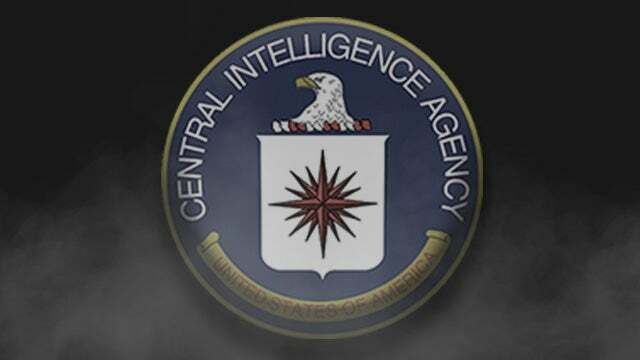 Well, it’s time to turn it around and say, “Why didn’t you stop it, if you knew this was happening?” In addition to the intelligence communities not getting it right about weapons of mass destruction, look what the Democrat Party tried to do to destroy the CIA and others over waterboarding, over torture. And then we say it wasn’t clandestine except Trump didn’t know the guy was there. 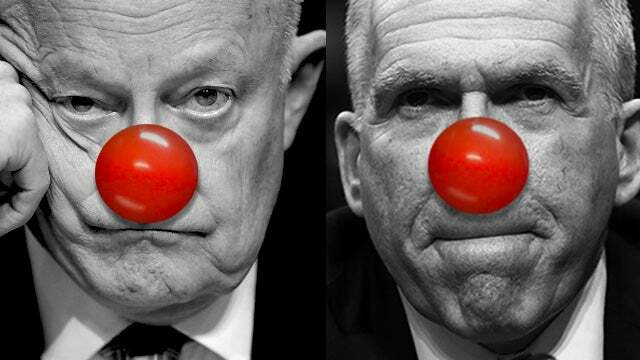 Trump didn’t know these people were there, but the Clapper and Brennan boys are all, “Oh, it was all on the up and up.” Well, okay, then. Trump is destroying the intelligence community, eh? That is laughable. The truth is, James Clapper, Director of National Intelligence, could not stop the Russians. John Brennan, Director of CIA, could not stop the Russians. We know they weren’t stopped because they’re still telling us the Russians colluded. They just haven’t found the evidence yet. Well, how incompetent are these people? If they know Trump did it, why the hell can’t they find the evidence? Why can’t they prove it? And I’m not saying they’re not gonna manufacture some, by the way. Until Mueller’s report comes out — these people are not engaged in this just to write a report that says, “Nothing to see here, folks. It’s been fun and we’ll check in next time.” This report’s gonna have something in it. They can’t impeach Trump. They’re not gonna be able to get the Senate to vote him, so they’re gonna have to try to do something else to cause people to lose faith in Trump, which would then permit the overturning of the 2016 election results. Let’s see. Clapper couldn’t find the Russians. Brennan at the CIA couldn’t stop the Russians. James Comey couldn’t stop the Russians despite all of his memos and despite his desire that there be a special counsel to look into it. James Comey, the almighty, could not stop the Russians. What a bunch of failures they all were. Andrew McCabe could not stop the Russians. Peter Strzok and Lisa Page could not stop the Russians, even though he was one of the top FBI counterintelligence people. Loretta Lynch could not stop the Russians. Bill Clinton could not stop the Russians. Hillary Clinton could not stop the Russians. Everybody knew the Russians were out there trying to take from Hillary what was rightfully hers, and not a single one of them could prevent the Russians from stealing the election? And so now we have to continue to endure a bogus, BS, so-called investigation to try to find the evidence of this, when, after a year and a half of spies and using the U.K. intelligence community in Oxford and Cambridge and Harvard and Yale and the best and the brightest, they still couldn’t find anybody except the fat Kislyak Soviet ambassador — I’m sorry — Russian ambassador. Maybe it’s time we need a bunch of new people at the FBI. Maybe we need some new competent people at the CIA, the DIA, the NSA, and wherever the hell else A that we have spies looking for Russians, because this current crop can’t find any. They haven’t been able to stop the Russians from hacking the DNC server. They haven’t been able to stop the Russians from getting Hillary’s emails off of her server. They haven’t been able to stop the Russians from stealing our election. What good are they? RUSH: I want to go back one thing. We had a sound bite earlier of James Clapper. I don’t want to replay the whole thing. I want to just quote from one thing he said. He was on some TV network today, and he said (summarized), “No, no, no. We didn’t have a spy — and — and we made no attempt to hide his identity.” They say that now even though we only learned about this spy three weeks ago thanks to the Washington Post, New York Times. “But — but — but we made no attempt to hide his identity.” What? Did this guy walk up to Trump and say, “Hi! Hi, I’m Stefan Halper. I’m an intelligence gatherer here. We’re looking for Russians in your campaign. We’re not here to spy on you. We’re here working with the FBI to make sure the Russians do not get involved in your campaign.” Did that ever happen? Of course it didn’t! What do you mean, “no attempt to hide his identity”? They sure as hell did make all kinds of efforts to hide what they were doing! Not just hide the identity of Stefan Halper, but Strzok and Page. Everybody involved in this was trying to hide what they were doing, ’cause they thought they were gonna pull it off. They were the ones doing the spying. They were the ones doing the colluding. They were the ones doing the tampering, while trying to make it appear like the Russians were involved in this campaign.